And as always if you have started a business I’d like to interview you! Write down five goals or five tasks for each and everyday. Get Accountability Partner who you review your goals and tasks. Also write down your life goals. Add to the list as you think of more. Share what you love and what your find inspiring. 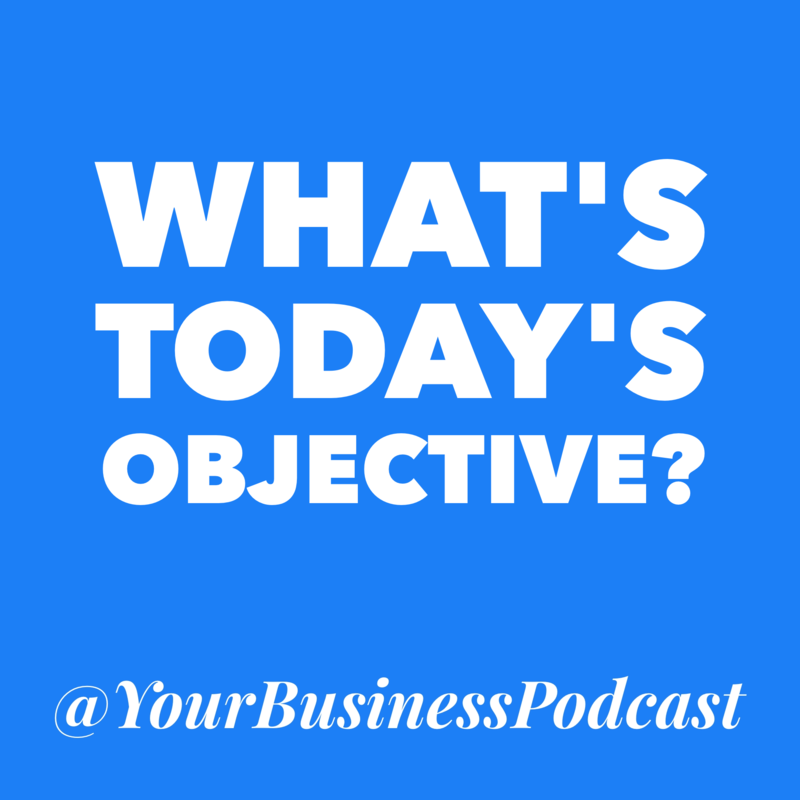 If you are on Instagram follow us @YourBusinesssPodcast for daily inspiration and tips. If you are interested in farming and homesteading follow us @RegenFarms. Recently I signed up with Michael O’neal’s “Solo Hour’ which is an online mastermind group. In a group like this you get help with your business questions and you get to network with other people who are also looking to be successful in business. I also discuss online business ideas like selling an eBook and creating other forms of digital media. Remember you may not consider yourself an expert but if you know more about a topic than other people then you can teach them. 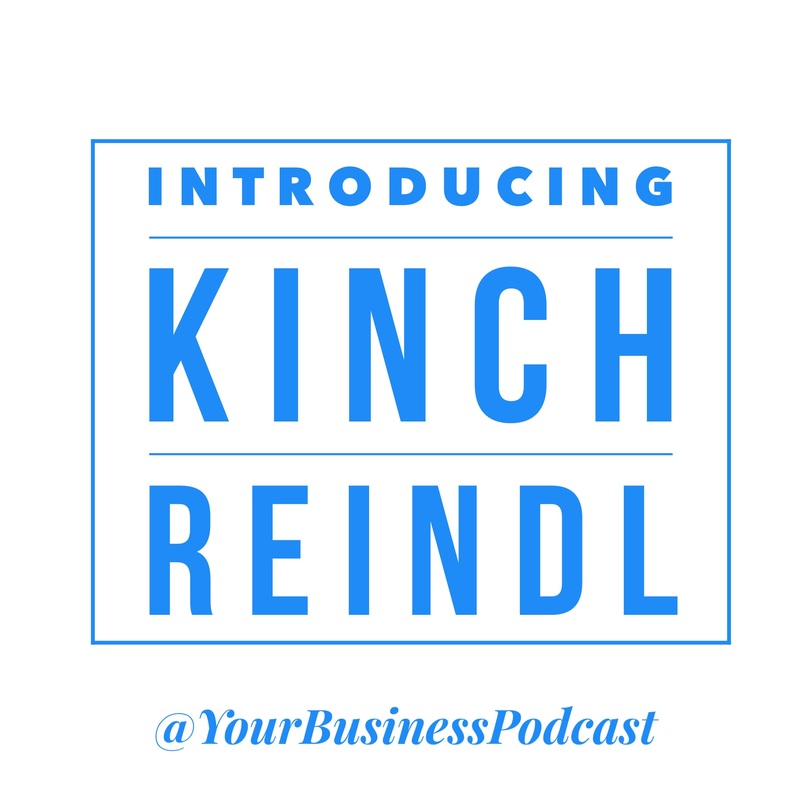 And I discuss using Instagram for your business, passion or hobby. I’m using an app on my iPhone named ‘Word SWAG’ to add text to my photos and to get backgrounds for sayings. I also talk about working on discipline for my business and passions. Jack also suggested adding a new habit to an existing habit to increase your success. Example every time you brush your teeth do some push-ups. Have a great day and make your list to get more done! Are you a geek and if so are you following your geekiness? Find Passion and Motivation. This podcast explores the following along with examples. Are you a geek about things that are negative or things that don’t help you at all? If so time to change where you spend your time and energy. If fear motivates you it probably will not keep motivating you. You will need to find something positive to maintain momentum. Can you turn your passion into a business? Whether it is gardening, photography or playing video games can you find a way to make money having fun? As the book “The Power” and the movie “The Secret” mentions your passions are clues to what you could be doing for a business that you would enjoy. Start asking your self how can you make money with your passions? I talk about how the idea of having a farm has grown into a place where we will teach others, have others live and learn on a productive farm. Once the first farm is proven we will know that we can start more farms to help show and demonstrate to more people. If you already have a business are you working on the parts you really enjoy? If not maybe you need to hire someone to handle the tasks you don’t enjoy. Make sure you share your passions and thoughts for business with others. And as always take some action! Do you have a passion for food? Are you a foodie that could make money growing food? This podcast should help you think about how you could turn your passion with food and plants into income and maybe a business. If you have a passion for gardening or cooking food with certain herbs or plants maybe you could be growing some of these for yourself and others. Organic search versus non local search – A different look at local search. We are sharing because at RiptideHosting we were showing up on Google for organic searches across the entire United States up until Google determined we were a local brick and mortar type of business. It took us almost a year to determine why we disappeared from the organic search on Google. Since we server customers all around the world our traffic dropped once we stopped showing up in organic search. At one point we thought other websites copying our content was causing us to drop in the rankings. Then we thought Google banned our site or some of the pages on the site. We also thought that maybe junk SEO links pointing to our site might have contributed to us disappearing. One of the key phases we were looking at was “Remote Desktop Hosting”. On both Bing and Google we regularly showed up on in the top three results. We still do show up that high on Bing. Not many of the results for “Remote Desktop Hosting” are relevant so we wondered if Google removed us. Then we realized if we added a local word “Denver” or “Colorado” in front of our search terms we showed up on the first page of the organic Google search results. For the “remote desktop hosting” phrase with Denver at the beginning our site shows up twice in the first three results. Adding a local city or state name isn’t what we’ve read about as local search. Rather your physical location as seen by Google would affect the search results. We did not have those local words in front of our key terms but they were in some of our page names. So we think Google is linking our website to the company’s physical location. So they are treating us like a local brick and mortar company that serves a local geographical area. At this point we realize our site isn’t black listed since it does show up. We also checked Google’s webmaster tools to make sure we didn’t have any manual penalties. We also researched to see if our ranking and traffic decline coincided with any major changes in Google’s algorithm which it didn’t. Once we realized we were showing up for local searches we remembered a month or two before we dropped that an SEO company suggested we make some changes to our website and for our website on other sites. We were ranking well but figured it is good to keep improving. And guess what the company suggested? They suggested we have a “Google Local Page” (so as we would show up on a map) and have our site listed on many sites like Super Pages. Adding your website to pages like Super Pages also requires you add your address to the listing. So in a month or two we started sending signals to Google with the listing of our website and address that we are a local business. And on top of that we now had a “Google Local Page”. Having your company name, address and site is called a “website placement”. The “Google Local Page” and website placements are recommend for a local brick and mortar business that is focusing on local business. A good example would be a chiropractor who only has local customers. So if you server local customers only the above are great suggestions. We also noticed another company who ranked and still ranks high like we did has no address on their site. Nor do they have a Google places page and we’ve yet to find their address listed anywhere online. Maybe they had this issue in the past. All signs pointed to our site being treated as a local only business. We have replaced our Google page with the brand page and started the process of having the website placements removed. It takes a lot more effort to remove a listed than to get it added. Some require physical mail to be sent. After making these changes we are showing up on Google for some terms again but not yet as high as we did in the past. As always you should add good and relevant content to your website which we continue to do. Google has been making changes to their local vs. non local searches and will continue to do so. Their mobile search supposedly is different from non-mobile searches so test on mobile devices if your customers would be likely to search via their mobile device for your services or products. Knowing if you want to show up on local searches versus global or non-local is important. If you or a SEO company implements changes on your site or listings on other sites make sure those changes make sense for the customers they are seeking. Make sure you understand the changes SEO companies or employees are suggesting. We asked the SEO company who suggested these changes after the negative impact if the changes they suggest could have a negative impact and they assured us they would not. I have also posed this scenario to a couple of other SEO companies and they had not encountered this local versus non-local search challenge. We learned the hard way that not all change is good for Google Rankings. Hopefully this will help those companies who are in the same condition as us and save others keep their rankings. What are the benefits of being less structured in business? I see myself as rather unstructured and I think there are both benefits and drawbacks to being less structured. Are you structured or unstructured? Would it help you to be less structured or more structured? I think a mix is the best depending on the situation. I forget how I found Derek’s site but I know him from the Toast Masters group I attend. He has some great suggestions on the page I linked to below. I’ve heard about some of his suggestions but not all of them. His ideal to journal several times a day is new to me. I believe I read in the 4 hour work week to make a list each day of what you want to get done. Derek takes this to a new level with journaling 3 times a day. I best start journaling now!